Leading Manufacturer of payment gateway solution and integration, custom software development and service and hotel booking portal development service from Chennai. Having years of experience in this domain, we are indulged in providing Ledger Management Software to our esteemed Clients. Gharuda Infotech Provides Payment Gateway Solution and Integration integration software is simple to install. This gateway integration software is developed in sync with international quality standards with high performance. Our expert team helps you to choose the best Payment Gateway service provider that not only suits your business model, but also affordable and in the budget with Quick & Smart. In addition to this, we offer this project to Implement Secure Integration. 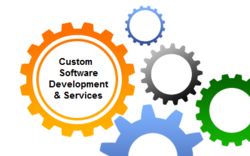 We are one of the most excellent companies engaged in offering a wide assortment of Custom Software Development and Service. We develop customized software for varied organizations like banks, retailers, food joints, restaurants, e-commerce companies, builders, transporters, technology companies, etc. We provided the Customer Software Development and Service like highly appreciated by our esteemed clients owing to their flawlessness and timely execution features. We offered services are extensively demanded and recommended amongst our customers for their best quality and durability. We sure about the Service that we provide Standardized Execution Process, Output of Consistent Quality, Reliable and Flexible. Riding on high capacities of industrial ability and understanding, we are engaged in offering a Hotel Booking Portal development Service to our esteemed Clients. This Hotel Booking Portal Development services are rendered by our diligent professionals using modern tools and development platform to deliver a delightful website for customers. We do standard Hotel Booking portal Development Service with authorization functionality. We sure about the Service that we provide Standardized Execution Process, Output of Consistent Quality, Reliable and Flexible.